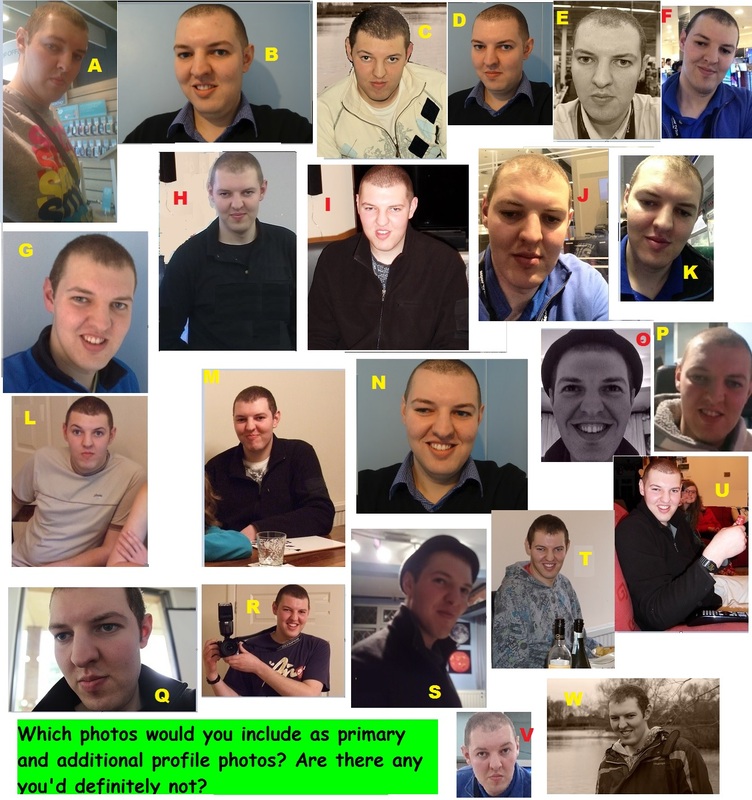 DatingAdvice Forum | Which Of My Pics Would You Choose For Your Dating Profile If You Were Me ???? Which Of My Pics Would You Choose For Your Dating Profile If You Were Me ???? Basically I’m starting to get consensus on which are and aren’t recommended choices, it’s majority rules. Don’t use A , E, O, P, S, T, or W…. mainly because of bad quality or unnatural lighting/color effects. T just makes you look a bit creep to be honest. Go with something that accurately reflects you. Personally, I’d go with C or G.